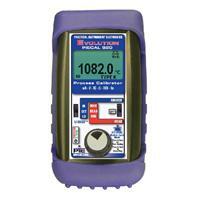 Panel Mount Version- Multifunction Calibrator, panel mount version. Sources & reads mA, V, T/C, RTD, ohms and Frequency. 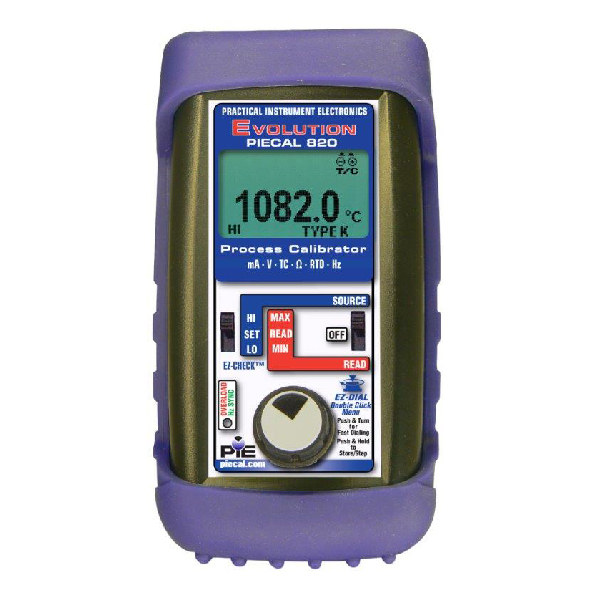 110/120V AC adapter and FREE NIST Traceable Certificate of Calibration. 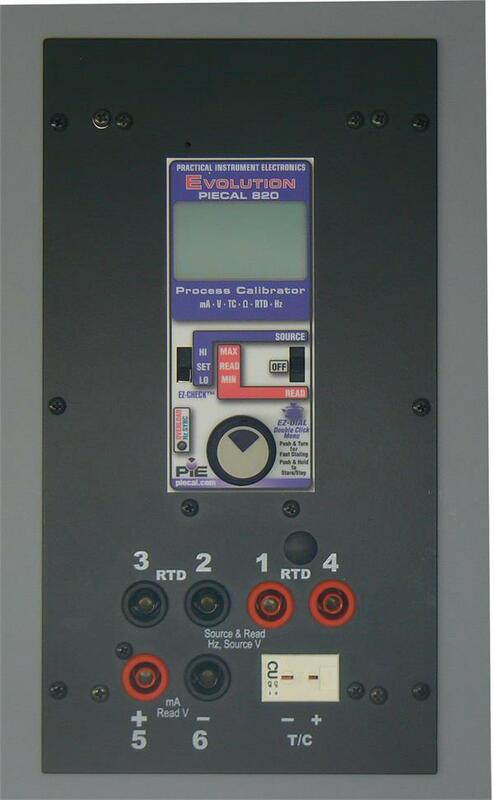 function PIECAL Evolution Calibrators. 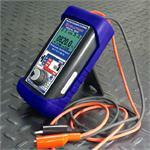 Icons on the display indicate where to plug in the test leads. 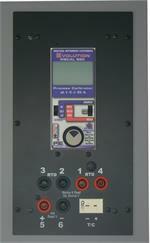 Power up transmitters & loops with the built-in 24 V power supply. Easily set any value quickly with the adjustable "DIAL" plus store any three output settings for instant recall with the EZ-CHECK™ switch. Choose between 2, 3, 5 & 11 steps to automatically increment the output in 100%, 50%, 25% or 10% of span. Select RAMP to smoothly increase and decrease the output between Zero and Span. Set step/ramp time to match your system from 5, 6, 7, 8, 10, 15, 20, 25, 30 and 60 seconds. Easy viewing in dark locations. Icons on display show where to plug in test leads. LED flashes green in synch with frequency output. Illuminates red for overload conditions.